Since our home renovation started in July, every room in the house, besides our bedroom, is covered in a thick layer of chalky dust. We’re also living without a kitchen and master bath. Our master is the only bathroom in the house with a shower so we’ve been living like nomads — eating and showering wherever we can. 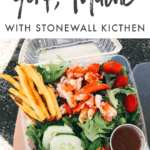 Naturally, I’ve been trying to get away as much as possible, so when Stonewall Kitchen approached me about coming to York, Maine to visit their headquarters a few weeks ago I was THRILLED. 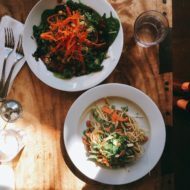 Not only was I excited to get out of the house for a few days, but it sounded like so much fun to learn more about Stonewall Kitchen. 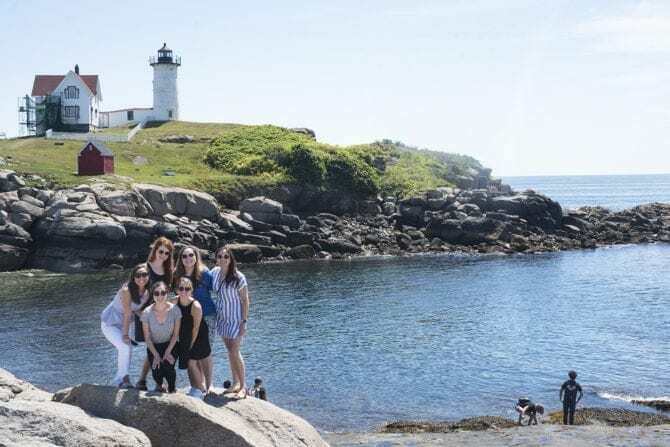 Plus, Maine is absolutely beautiful (especially during the summer months) and we have friends who live in Portland, Maine so I was able to extend my trip and enjoy a few days with them as well. Such a perfect little trip! If you’re not familiar, Stonewall Kitchen is a specialty food producer based out of a York, Maine. The company started with two guys selling handmade jams and jellies at local farmers markets, fairs and festivals. This was back in 1991, and the company has grown exponentially since! Their products are sold in over 6,000 locations and they now have 10 company stores. In my opinion, they’re most well-known for their wild blueberry jam and pancake mixes. 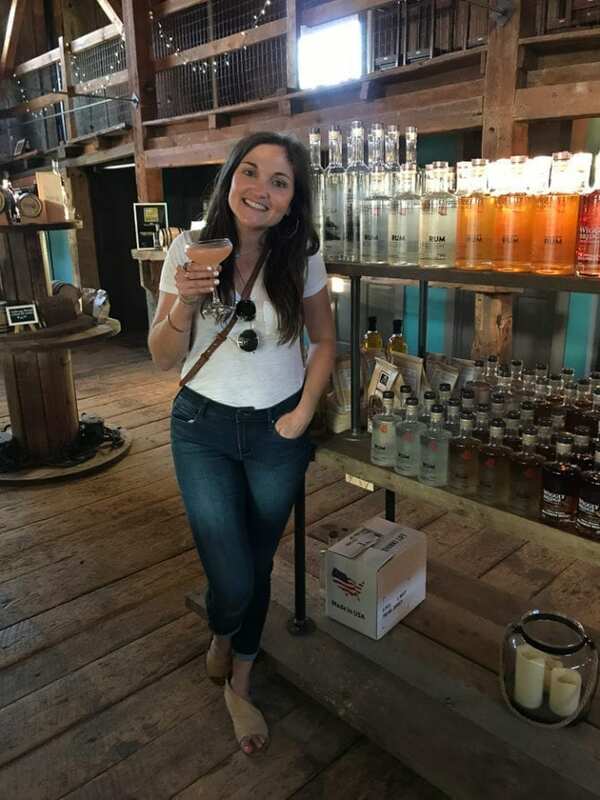 For this trip, Stonewall Kitchen invited seven bloggers to come to York, Maine to visit the company headquarters and main production facility, learn about the brand, try the products and explore. Highlights of the trip included a VIP tour with Stonewall Kitchen’s CEO, John Stiker, a food/prop styling workshop with the photo team, Stonewall Kitchen cooking class, and last but not least, a sunset bonfire on the beach (in case everything else wasn’t awesome enough!). 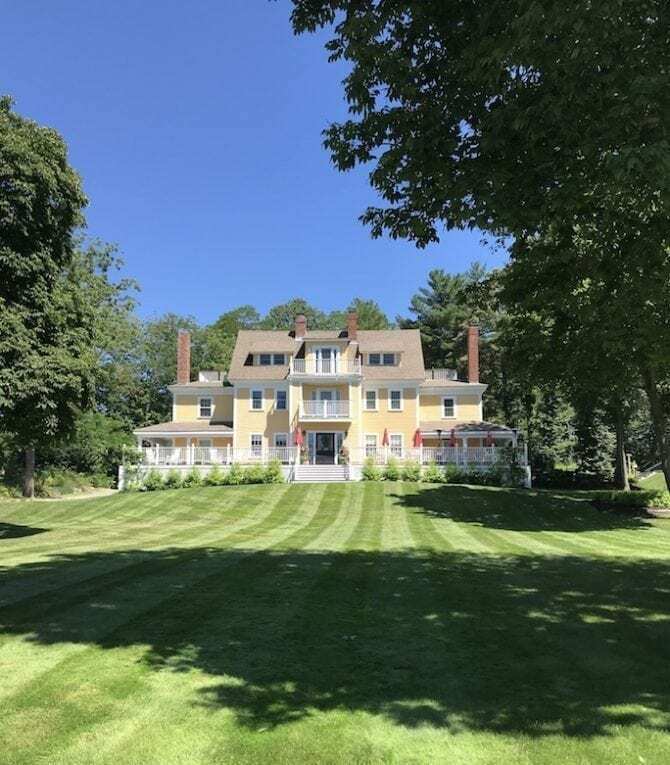 For this post, I thought I’d share a quick recap with a few photos from the trip, as well as some of my favorite spots that we visited while in York, Maine. York is your quintessential New England beach town with a mix of quaint restaurants and quirky beach shops. The beautiful coastline provides cliff walks with views of the Nubble Lighthouse and large sandy beaches. It was so cute and charming — I would definitely visit again! 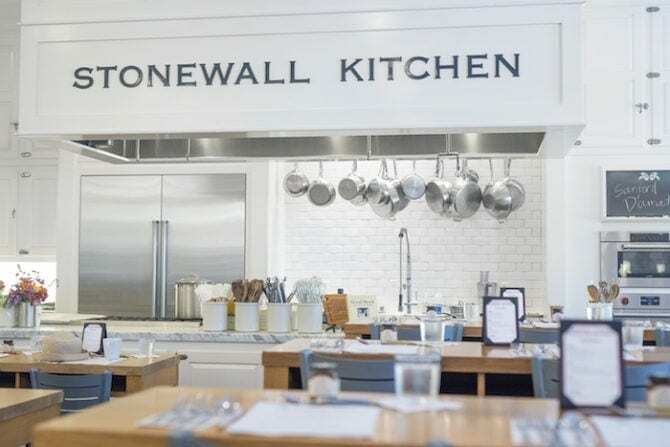 Stonewall Kitchen — As I mentioned, Stonewall Kitchen is headquartered in York and their flagship store/cafe is right off the highway exit, so it’s a convenient spot to grab breakfast or lunch. 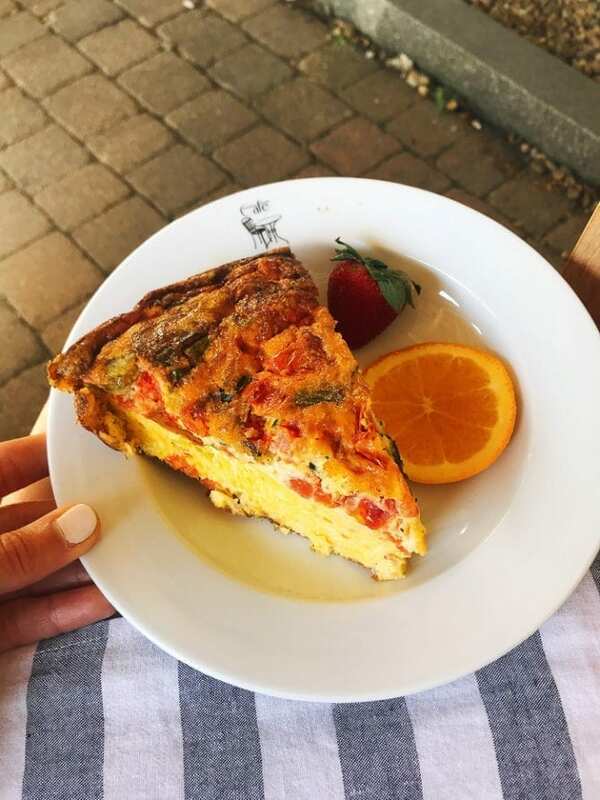 I loved being able to grab a quick coffee and frittata at the cafe and then sit outside on the patio to enjoy it. 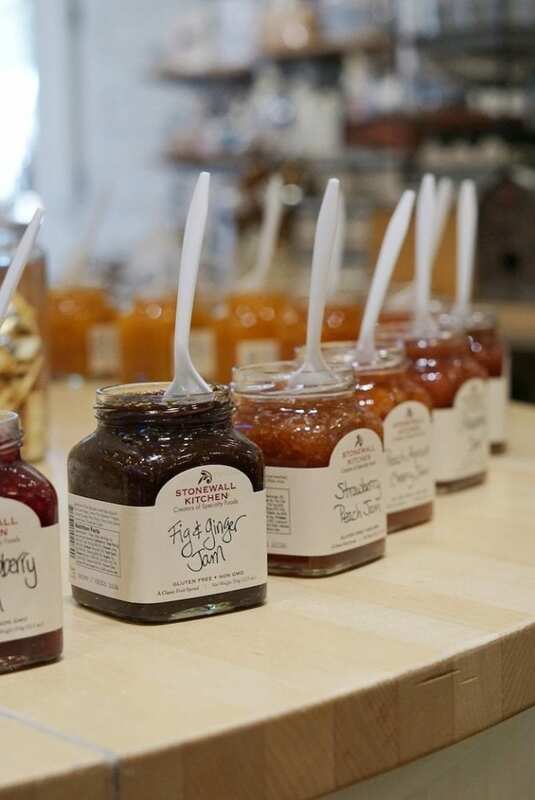 The actual Stonewall Kitchen shop is large and filled with all of their products — many of which are open for sampling — so you can try everything from the bellini jam and ghost pepper aioli to the simple white crackers before purchasing. The place is a mainstay for tourists so the shop gets pretty busy, especially on the weekends. They also offer daily cooking classes with a variety of chefs. The classes are demo style so you can sit back and enjoy the food while watching the chef and taking notes on each dish. The classes include a 3-4 course meal, which leaves you feeling full with loads of new cooking knowledge! York Harbor Inn – This is the hotel we stayed in. 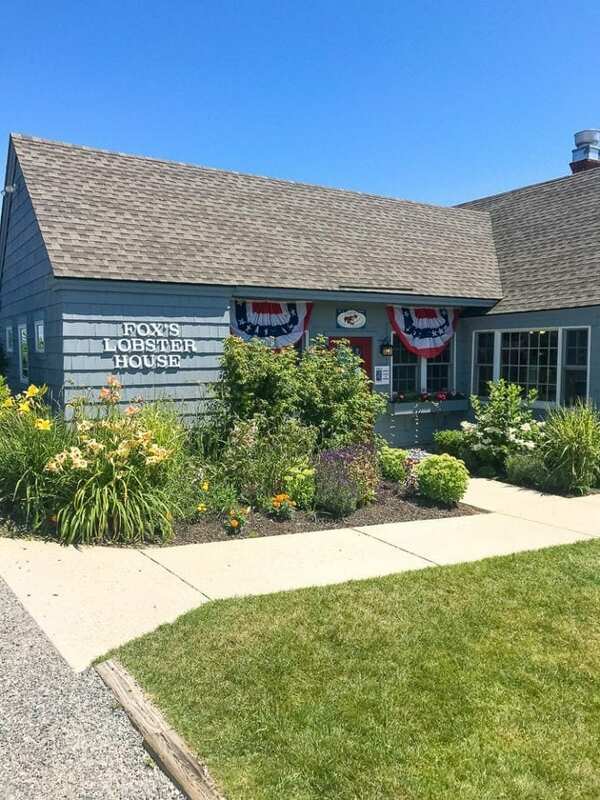 The accommodations are charming and the location is perfect — right across the street from York Harbor Beach and walking distance to the Wiggly Bridge and the Cliff Walk. We had dinner at the Ship’s Cellar Pub, which serves the same menu as the main dining room. 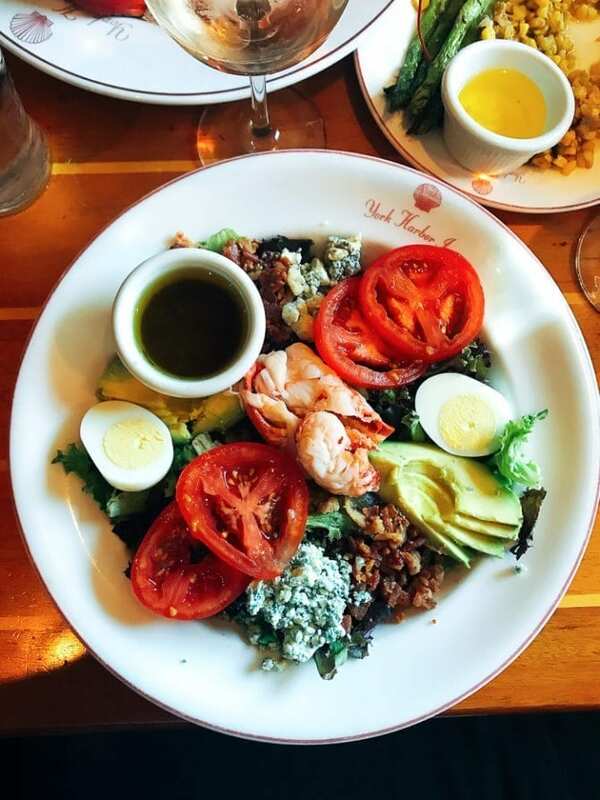 I highly recommend the cobb salad with lobster. It was so good! 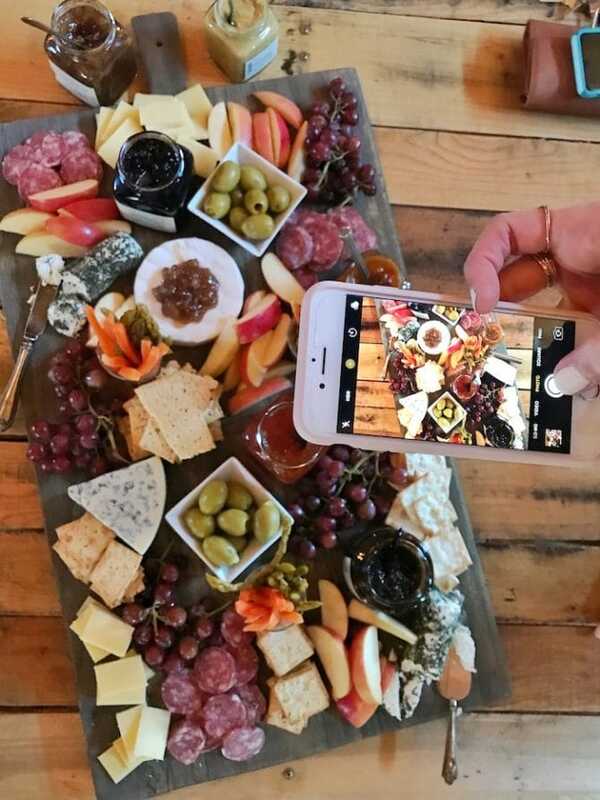 We also grabbed wine and appetizers at the Chapman Cottage Tavern one evening. 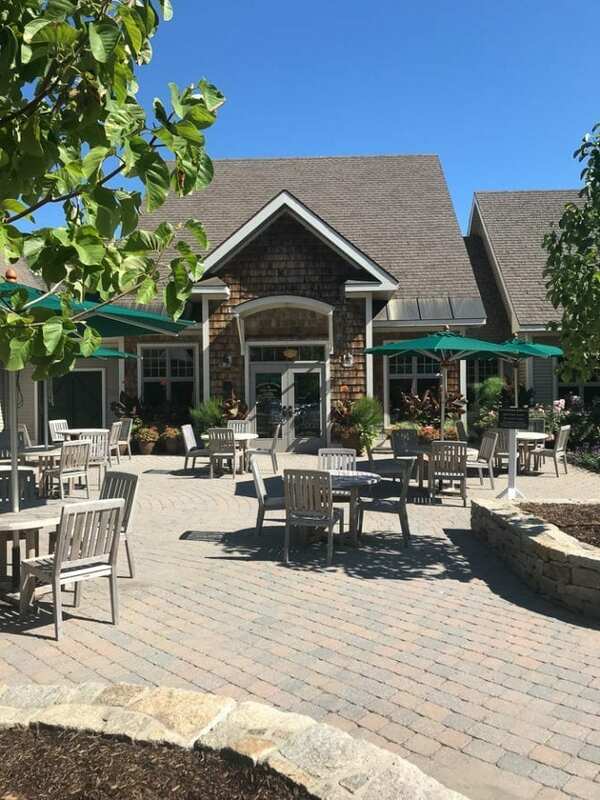 It has a super cute outdoor patio with string lights – the perfect spot to grab a drink and sit outside before or after dinner. Wiggly Bridge – True to its name, this bouncy walkway may be the world’s smallest suspension bridge. Cliff Walk – An awesome little walkway along the coast with beautiful ocean views. If you’re visiting York, I definitely recommend doing this walk. It’s about 20 minutes out and back. Dinner at Stage Neck Inn – For dinner one night, we walked from the York Harbor Inn over to Stage Neck Inn, which is right on the water with a lovely view. The menu is extensive with lots of local seafood options. Everything we ordered was delicious and I highly recommend the brussels sprouts. 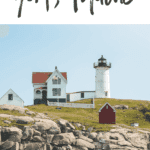 Nubble Lighthouse – An authentic Maine lighthouse located on a rocky coastline. It’s the perfect picturesque backdrop for photos. 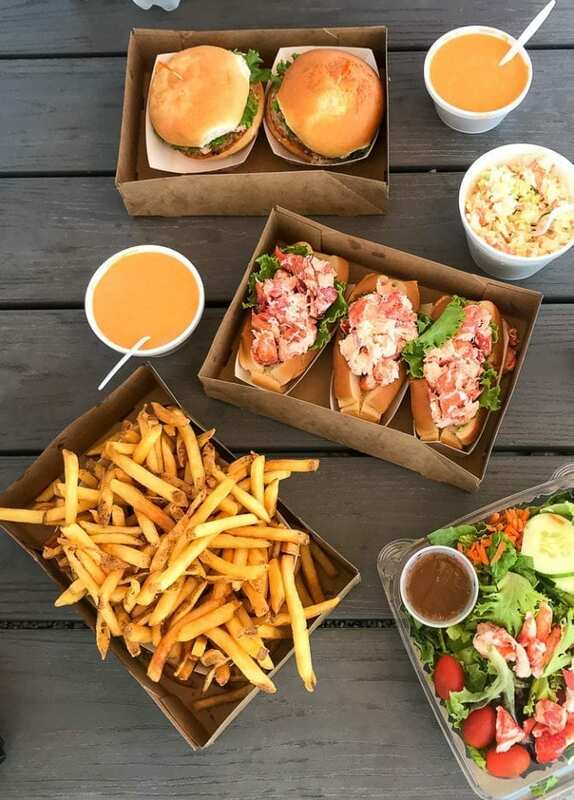 Fox’s Lobster House – Located right beside the Nubble Lighthouse, this popular restaurant offers all things lobster (rolls, salads, soup), delicious sides (like coleslaw and crispy fries) as well as ice cream and Maine blueberry pie. 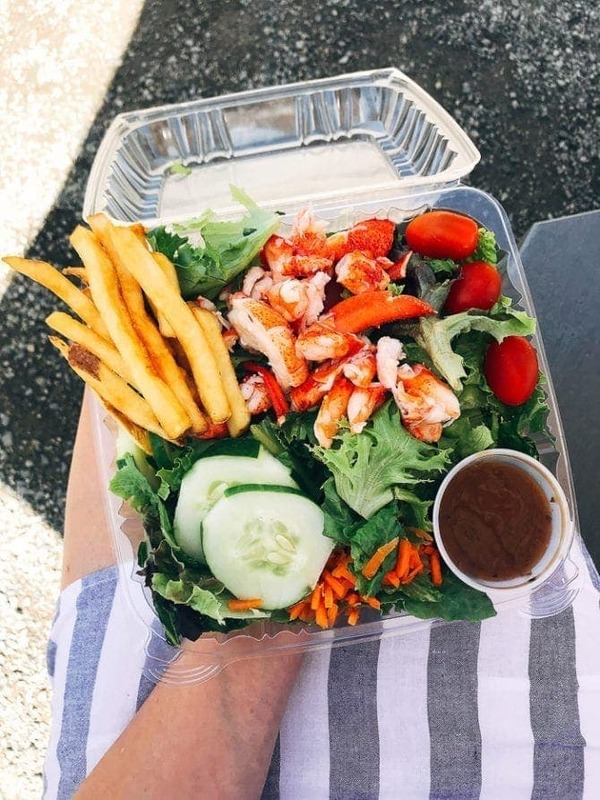 We sat outside on the patio and it was the perfect lobster-filled meal. Anthony’s – An unassuming gas station that has a coffee shop, bakery, lots of prepared foods and a good selection of wine/beer. It’s also known for its whoopie pies (Maine’s official state treat). Wiggly Bridge Distillery – A small batch distillery with an expansive cocktail menu. They offer everything from bourbon and whiskey to rum, vodka and gin! 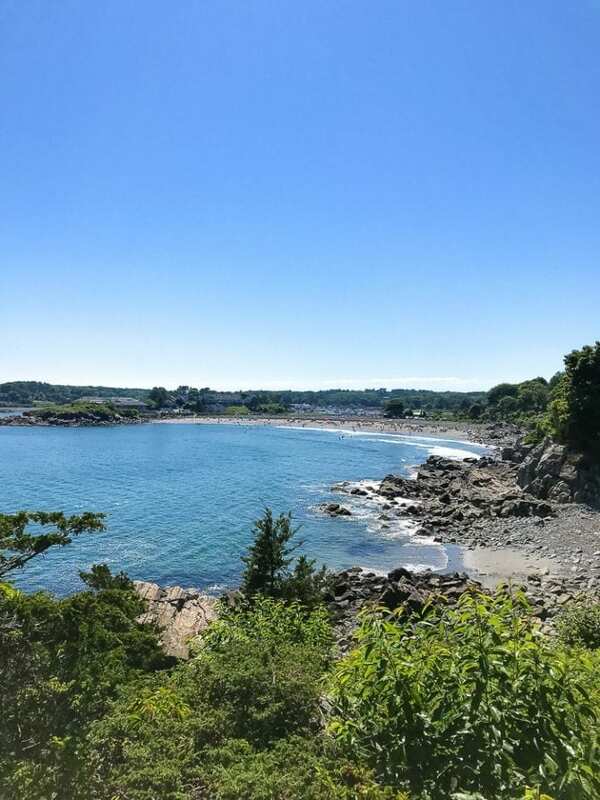 Beaches – Choose from York Harbor Beach, Long Sands, Short Sands, and Seapoint (which is a little outside of York in Kittery). Seapoint beach is where we did a cozy sunset fire on the beach (with s’mores because, duh!). After the trip with Stonewall Kitchen, I met up with my friend, Jenny, and her family at the Long Sands beach for a little fun in the sun before heading back to their place in Portland. Isaac and I love Portland so we’ve visited several times. 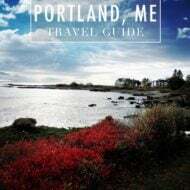 See my previous posts here: fall weekend in Portland, Maine + summer weekend in Portland, Maine. 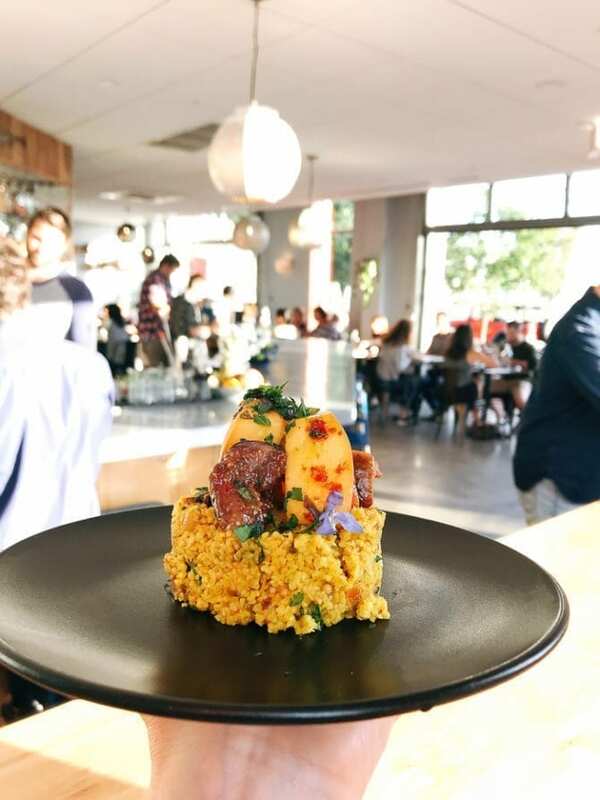 Baharat – A food truck turned brick and mortar with inspired middle-eastern street food, a cocktail-focused full bar and a cozy, welcoming interior. This might be my new favorite spot to eat at in Portland. 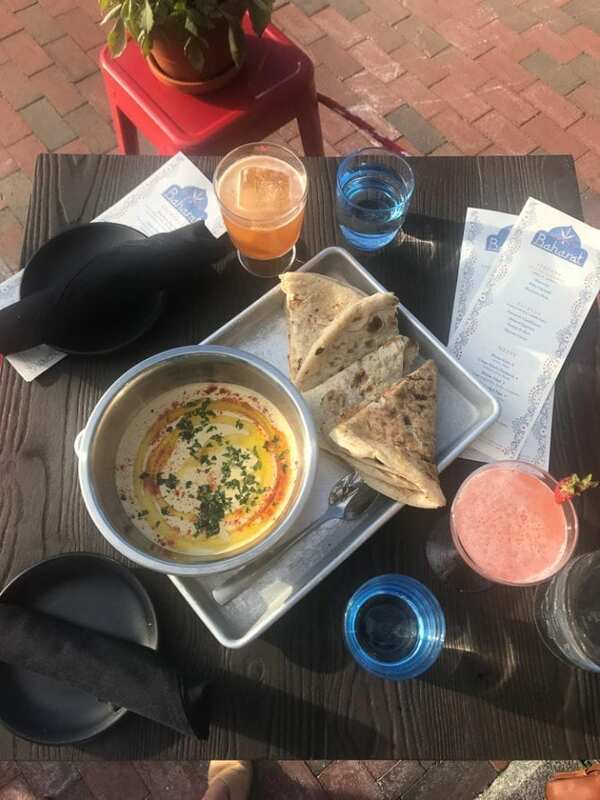 The hummus and pita dish was absolutely amazing. Highly recommend. 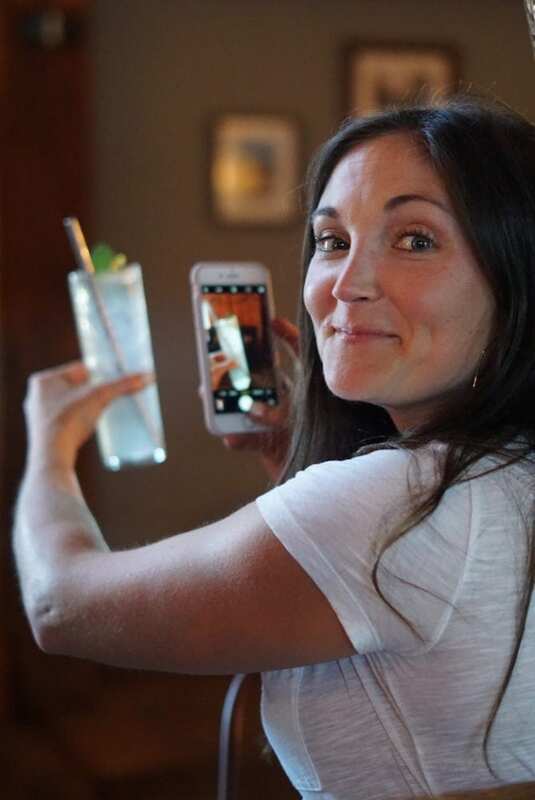 Liquid Riot – A fun brewery right on the water in old Portland. They also serve wine and mixed drinks if beer isn’t your thing. 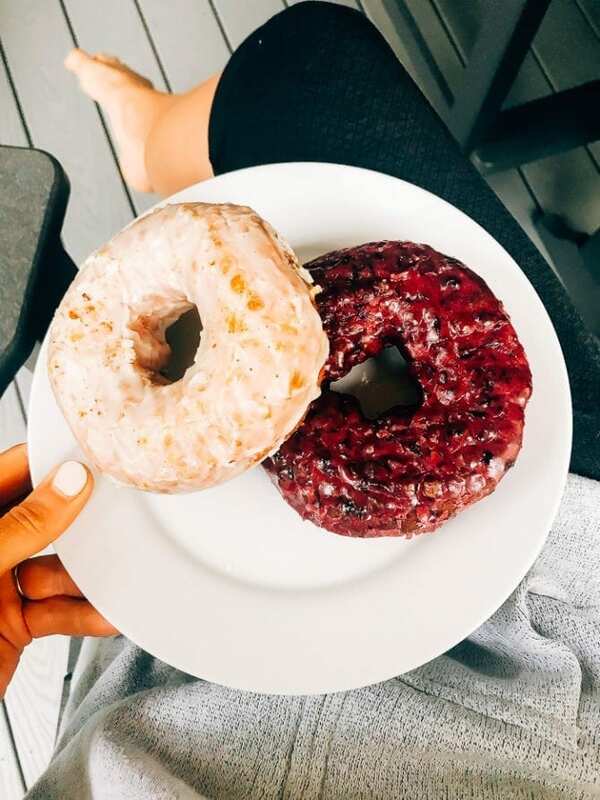 Holy Donut – After multiple trips to Portland, I finally tried Holy Donut and now I totally get the hype. These potato donuts are absolutely delicious and I love that they have vegan and gluten-free options. We tried a bunch of different flavors, but I think the gf chocolate sea salt and the blueberry are my favorite. I need to try the sweet potato donuts next time! 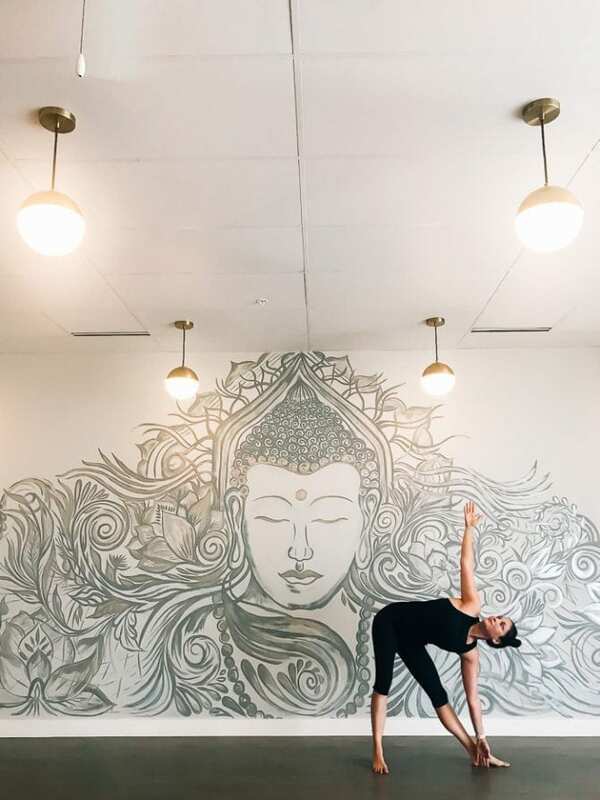 Blake Orchard – A local spot for smoothies, juices and coffee. So many people recommended this spot so I wanted to include it here, but I didn’t get to try it because they were out of coffee when we went and I wasn’t hungry for a smoothie. It’s on my list for next time! 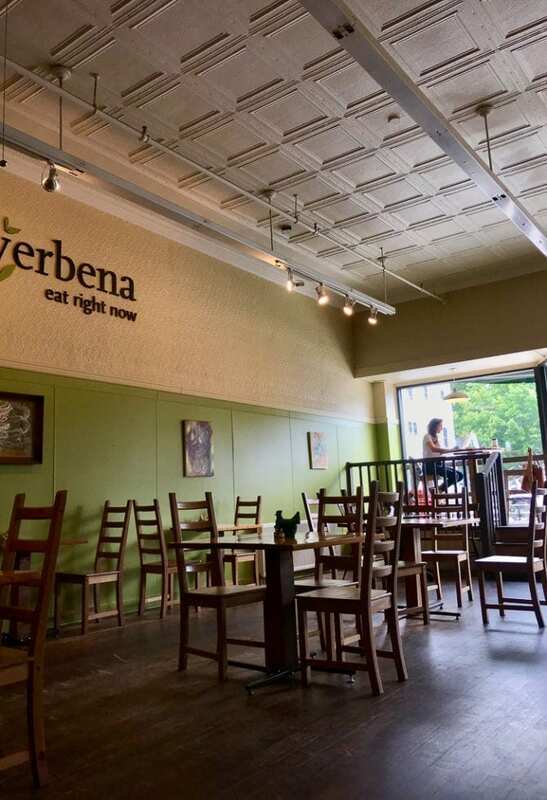 Verbena – A cute and quiet coffee shop and eatery — great for posting up to get some work done. 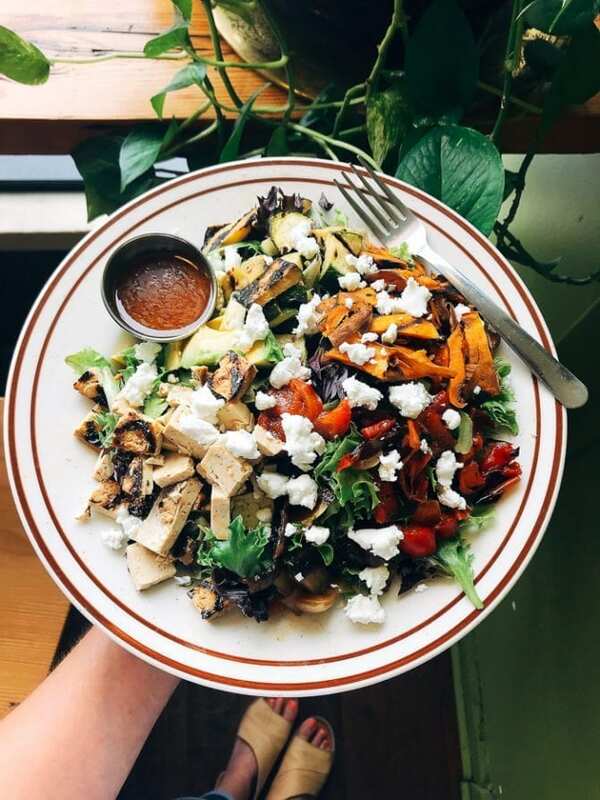 Jenny recommended ordering the grilled veggie sandwich with tofu as a salad and it was SO good — extra large and super filling. And it has sweet potatoes on it… my fav! 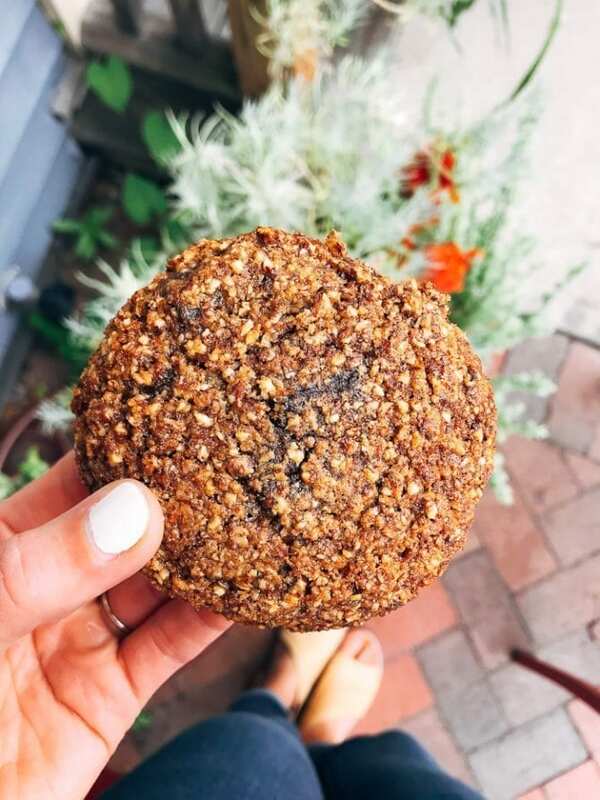 Scratch Baking Co – Super cute spot in South Portland for bagels, bread, cookies, cakes and more. They also serve sandwiches and coffee. The gluten-free chocolate chunk chewy cookies were so delicious. Overall, this trip solidified my love for Maine and has inspired me to explore more of New England. 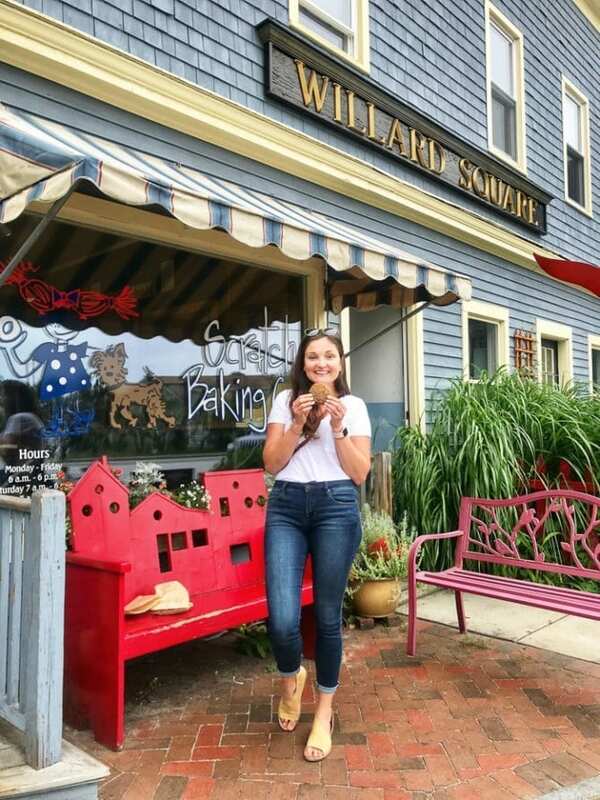 The weather is perfect during the summer months and there are so many cute towns to explore. Have you ever been to Maine? What were some of your favorite spots? 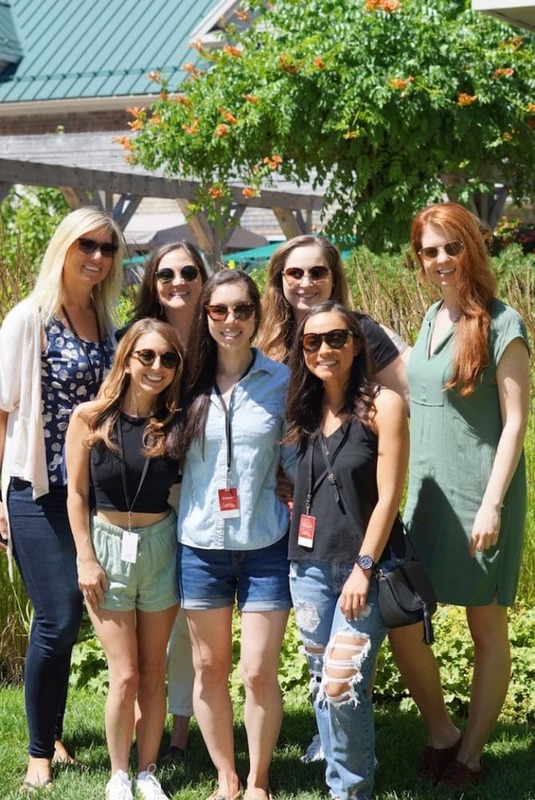 Looks like it was a totally fun girls trip with SO much amazing food! I live on the NH seacoast and 15 minutes from Stonewall Kitchen! It is a place I visit quite often and the cooking demonstrations are fun and delicIons! Thank you for sharing your visit and the charming spots you visited in York and Portland! You have barely scratched the surface of the beauty and wonderful places to visit so please come back! Ahh I love this connection! This was my third time to Maine and every time I visit I fall more in love. 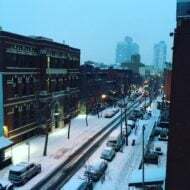 I can’t wait to come back.